Feel good and relax – make your dream of living come true. 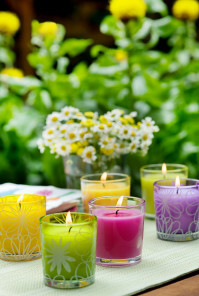 Immerse yourself into the wonderful world of candles! At Eika you will find a wide-range of candles, offering everything from classic tea lights to high quality exclusive candles and matching accessories. See for yourself – we offer you a large selection of candles and accessories of the highest quality as well as extensive individual consulting. Benefit from our long history of experience and competence as a branded company. With Eika you are making a choice of brand quality from Germany!